Believe it or not, back in 1989 the United Nations warned: “entire nations could be wiped off the face of the Earth by rising sea levels if the global warming trend is not reversed by the year 2000.” It really is astonishing how such absurd forecasts were made 20 years ago to start this whole crazy belief in Global Warming and how the threat would be rising sea levels all created by us driving to work. The rhetoric continues relentlessly with every storm now being blamed on Global Warming. 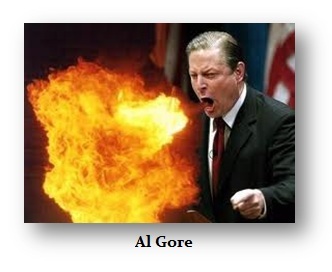 The 2000 Presidential Election came and Al Gore made Global Warming a campaign issue. In August 2000, Gore announced that he had selected Senator Joe Lieberman of Connecticut as his vice presidential running mate. Then in 2007 Al Gore still kept preaching Global Warming and declared we reached a dangerous ­climate “tipping point”, he warned in his 2007 book Assault on Reason. There have been critics who rarely are ever heard. Yet to this day, the press blames each and every storm on a theory that has never been proven to be even plausible. Nonetheless, they then turn Global Warming into a political weapon against Trump. The headline in the Washington Post: “Yes you can blame President Trump for Hurricane Florence.” So the implication is if Hillary had been president, there would be no more storms, which by the way has never existed even before humans walked the planet. Nobody is ever held accountable for their forecasts that are NEVER correct!